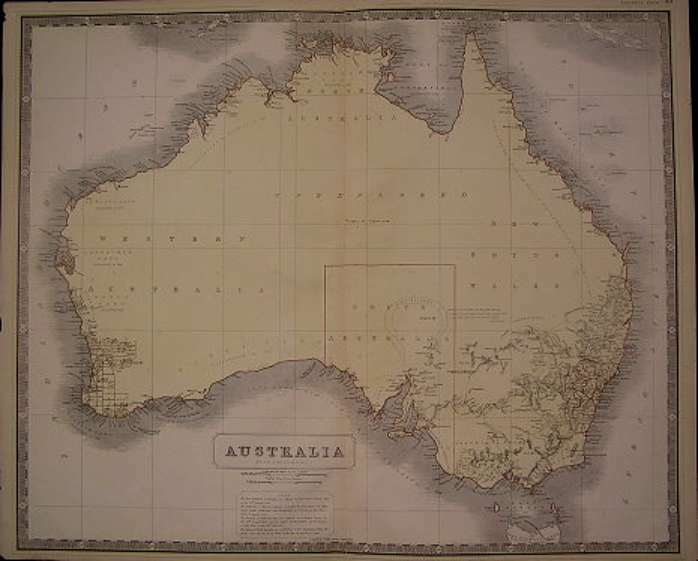 Australia in the 19th century was made up of six separate colonies, New South Wales, South Australia, Tasmania, Queensland and Western Australia, South Australia (including, at this time, also the Northern Territories). In term of working silversmiths only three colonies supported any number of craftsmen, namely South Wales capital, Sydney, Victoria, capital Melbourne and South Australia capital, Adelaide. In the first half of the 19th century inhabitants of Australia were few tenths of thousands and pre 1850 Australian silver by comparison to colonial silver in general must be considered very rare. Most working silversmiths with retail business carried imported silver or plated items as current stock and locally produced items were manufactured only to fulfill immediate orders (as presentation trophies) when the waiting time to order pieces from England was too long. No form of official mark or date letter system was introduced into the hallmarking of Australian silver. Early Australian silversmiths marked their objects with their full name or initials and imitations of English hallmarks as leopard's heads, lions and anchors. In 1988 was formed the Gold and Silversmiths Guild of Australia. A voluntary system of marking was introduced (maker's mark, standard mark, guild mark and date letter).